The tortoise and the hare race continues, with Dutchman Mark Slats closing to within 56 nm of long-time race leader Jean-Luc Van Den Heede in terms of distance to finish. Van Den Heede, whose Rustler 36 Matmut has led the Golden Globe Race since passing the Cape of Good Hope, at one stage held a 2,000 nm advantage. 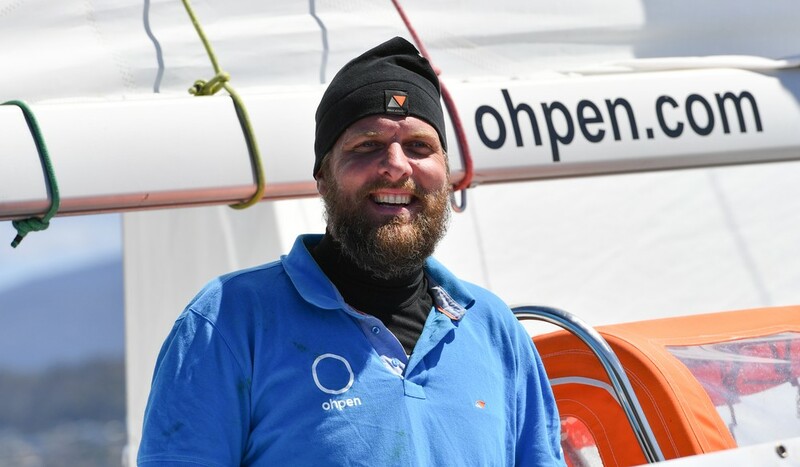 But has seen his lead being whittled away ever since the 73-year-old Frenchman suffered a knock-down and sustained damage to his mast during a Southern Ocean storm in the South Pacific on 1 November 2018. But Slats is pushing hard despite a few problems of his own. The Dutchman ran out of fresh water supplies a week ago, and is now using his emergency desalinator to turn salt water into fresh. It is hard work. An hour of pumping with both hands produces just 750ml of water – barely a cup full. The average daily intake is 2.5litres – 3 hours pumping! Jean-Luc Van Den Heede and Mark Slats are expected to finish in Les Sables d’Olonne sometime between 1 and 2 February.